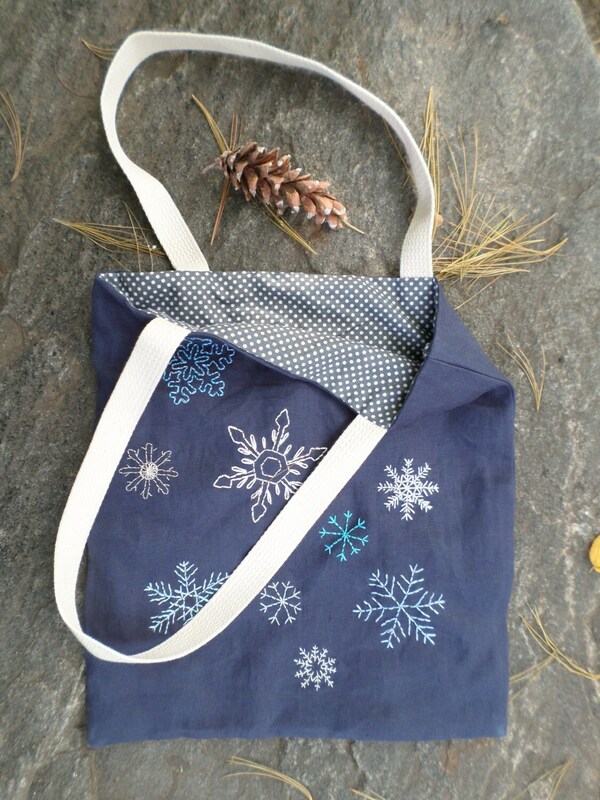 Handmade Linen Snowflake Purse : hand-embroidered, unique small, blue linen handbag. 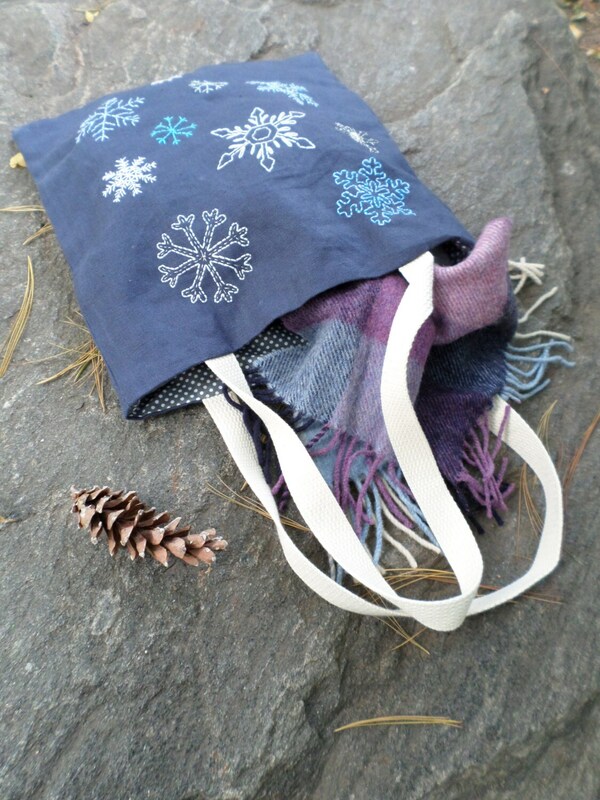 These small totes are great for keeping your life organized and looking smart while doing it! These smaller bags are the perfect size for a handbag on fun afternoon outings. They also work really well for holding books, papers, folders, and small projects. Meeting a friend for lunch? Visiting a museum? Use one of these bags and you'll look smart with a touch of originality. Lining: grey cotton fabric printed with a polka dot design. 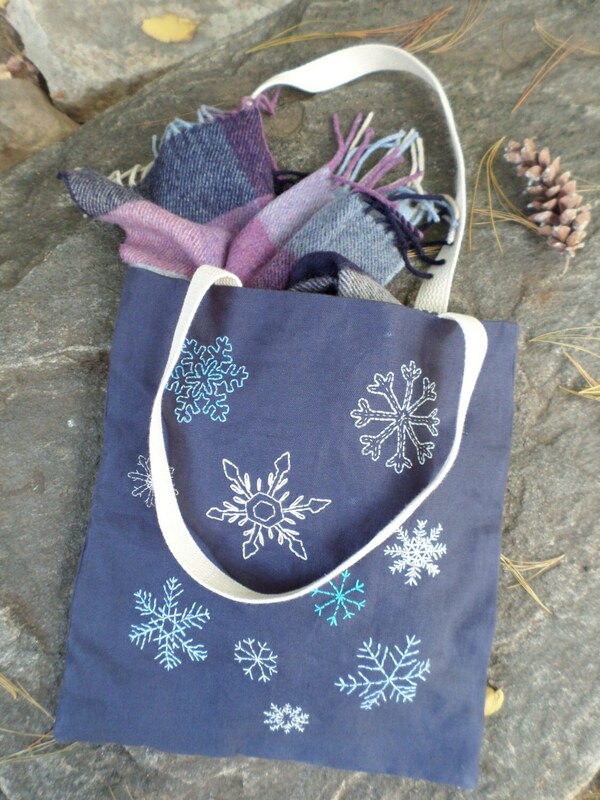 Design: Hand-embroidered with a snowflake design in blues, white and silver. 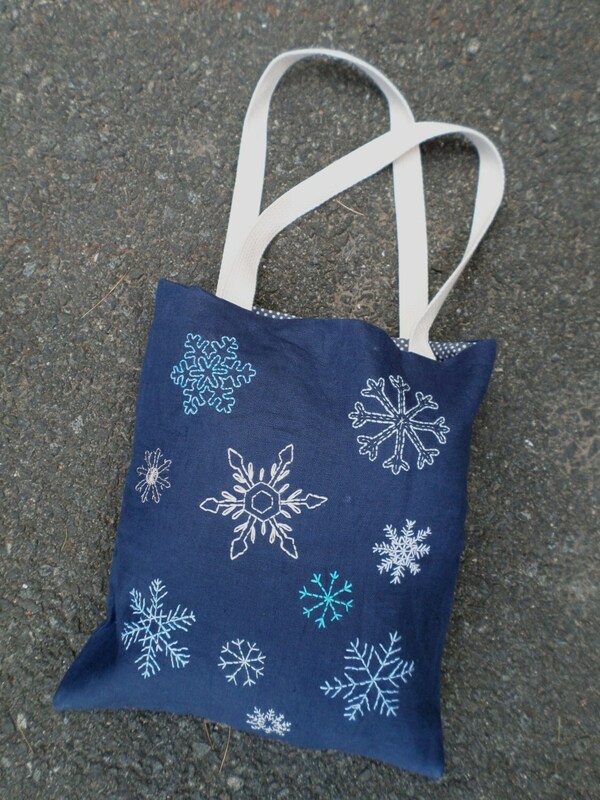 I also have a similar tote in winter white available. 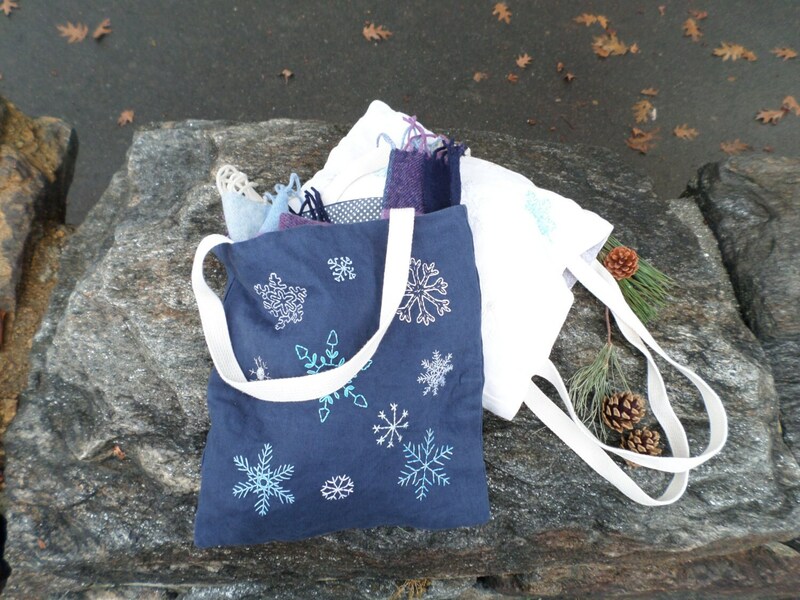 I make each and every tote bag in my workshop. No two are exactly alike. Machine wash cold, delicate cycle. Tumble dry low or line dry.